Despite its lower free storage capacity, Dropbox remains one of the most popular cloud storage services. You can use Dropbox to store nearly all types of file online and access all of your files from any device you probably have. It’s also easy to share your files whether via direct link or via email. 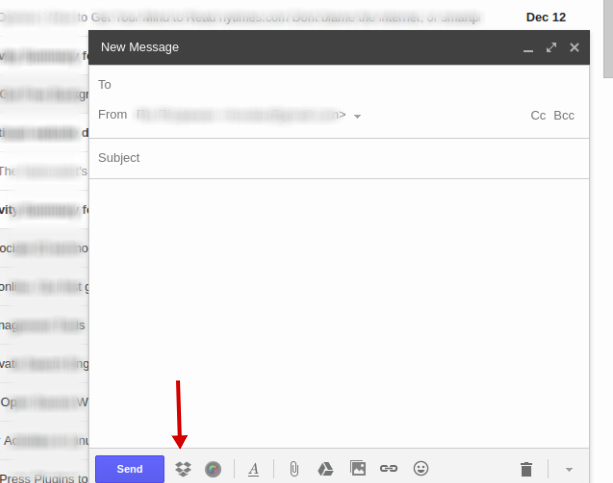 If you are a user of both Dropbox and Gmail, there is an extension that makes it easier to attach Dropbox files to Gmail. The extension is Dropbox for Gmail. It’s an official extension developed by Dropbox. Unfortunately (at the time of writing), the extension is only available for Google Chrome. 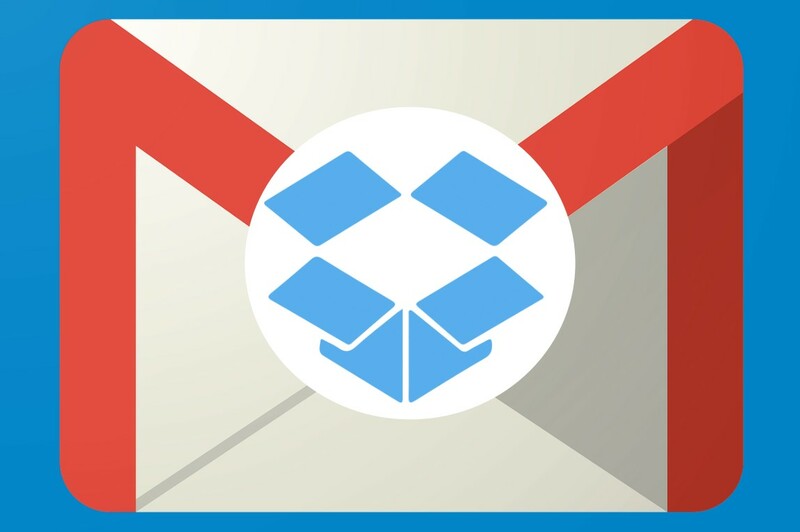 Dropbox for Gmail allows you to effortlessly attach files from Dropbox to Gmail. You can attach Dropbox files using this extension without having to leave the Gmail window. In addition, you will also be able to preview file attachment from Dropbox without needing to download them first. Dropbox for Gmail is really useful if you regularly work with Dropbox and Gmail. Here is how to use the extension. First and foremost, you obviously need to install the extension first. Visit this page and click ADD TO CHROME button. Once Dropbox to Gmail is successfully installed, you will see a new Dropbox icon at the icon bar of Chrome. Login to Gmail and create a new message just like usual. Click the Dropbox icon to start attaching. 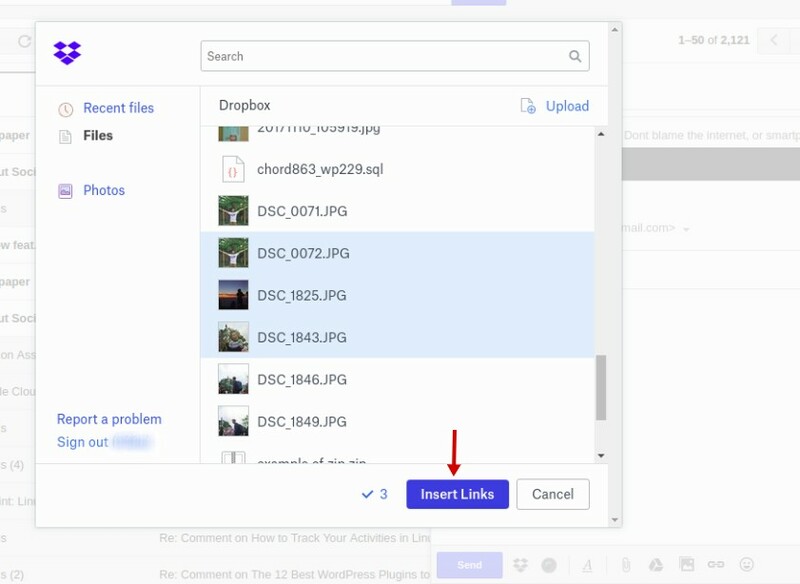 Select the file(s) you want to attach and click the Insert Links button. If you want to insert multiple files, press and hold the CTRL button while clicking the files you want to attach. Done!. You can now start sending your message.